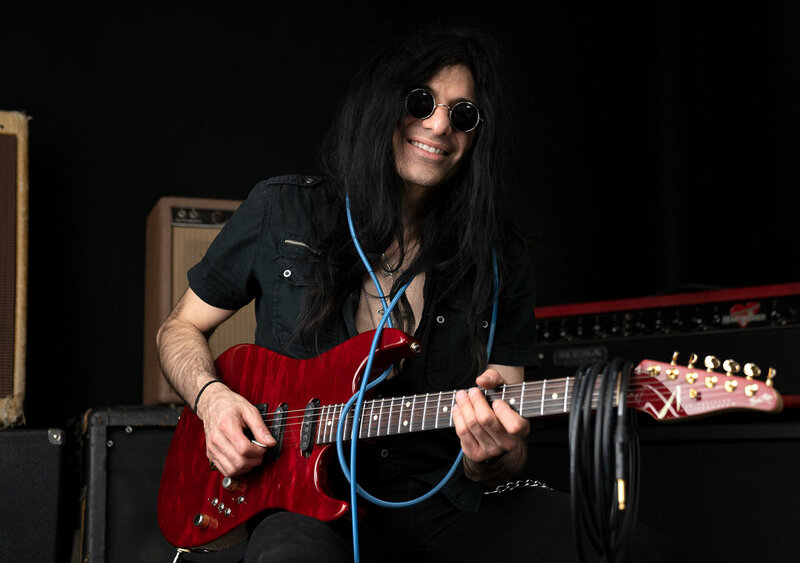 That when Mike Campese stopped by Anderson Guitarworks, we had to tie him down to the amp, with guitar cables, to keep him grounded (both physically, electrically and in a disciplinary fashion) while we got this shot. Such a photogenic artist—and such a fun guy. Love him—but kids…don’t try this at home. No one needs to be grounded…like this.